We couldn’t resist it. 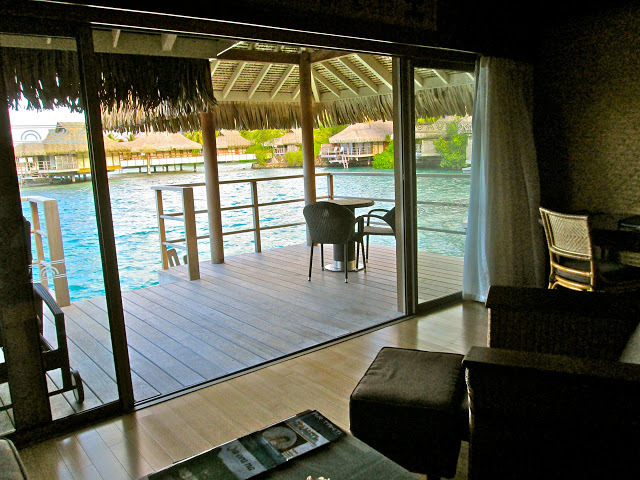 The Beachfront Bungalow offered tons of fun and relaxation, but we were lured by the charms of the Overwater Bungalows. 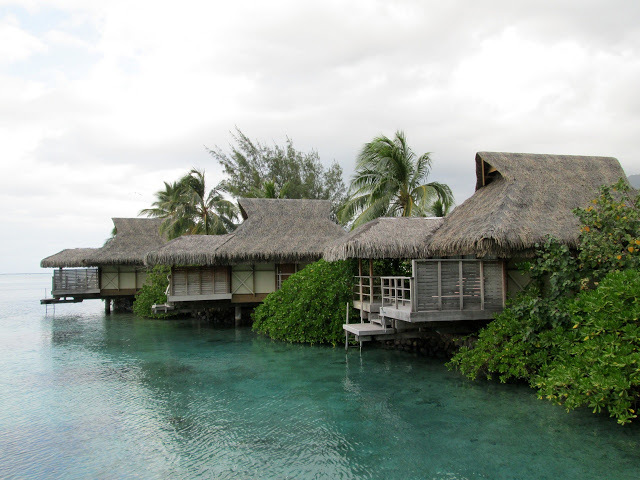 In front of our bungalow were the full overwater bungalows. With a view like this, you can’t really just laze around inside the room. We kept the windows open the entire time. I would suggest this rather than turning your A/C on. It’s much more refreshing! So are Overwater bungalows really worth the hype? 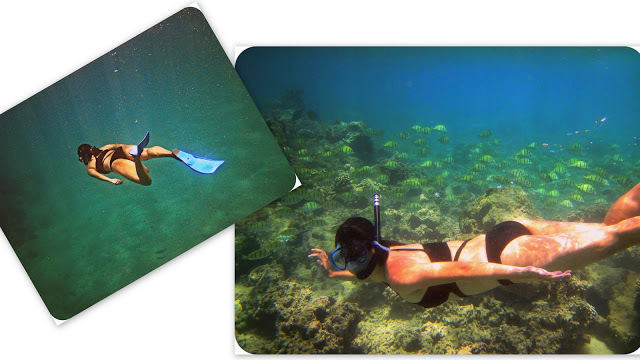 If you’re a water and snorkel buff like us, YES. IT IS WORTH EVERY HYPE! There’s nothing like jumping off your balcony and being in the sea immediately. No more walking on sand and getting sand on your fins, etc. If you’re not convinced, just watch this. This is the best view you get of the entire room as well. I literally get up from the bed and jump into the water in just seconds. It was pure happiness to just wake up and jump. Lucky for us too, even if the bungalow was just half overwater, the waters were already deep and just a few meters away, you can already spot corals and marine life. We almost didn’t need to go on an island trip because the snorkelling at the Intercontinental Moorea was good enough. We still ended up going for an island trip though (watch out for it soon!) and it was just amazing. 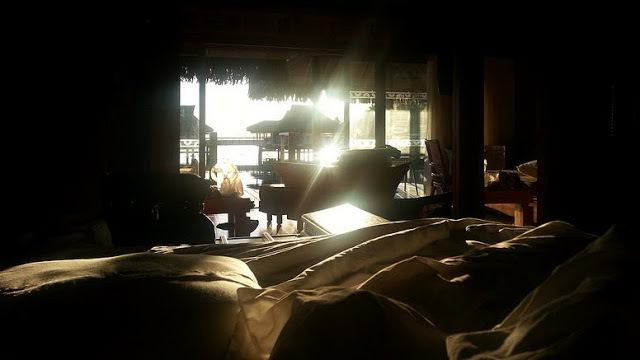 We formed a habit over the next 3 days in the half overwater bungalow. Wake up, eat breakfast, and jump. We would have a really late lunch because we were so engrossed exploring the sea! By this time, I already finished reading the epic novel Gone with the Wind so I watched it online. And we love that it’s quiet at night. No bars, music or loud partying. So we would sleep at the latest 10PM and spend the next day under the sea just like the day before. 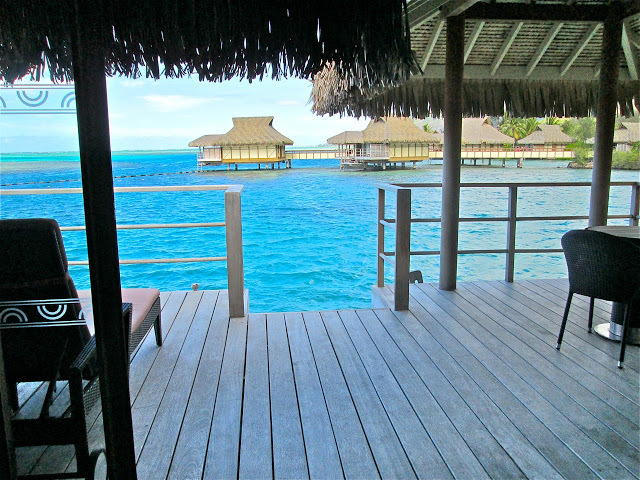 If you’re not too crazy about snorkelling and would just like to enjoy the view, of course it is still worth staying at an overwater bungalow. But I urge you to make the most out of the location you are in. A tip by the way in choosing OWB’s (overwater bungalows), the ones that are on top of light aqua coloured water (the ones that you would normally see on ads), may look much more pristine but won’t offer you much of a view underwater. Go for the deeper waters with darker hues. Trust me, the treasures you will find under the sea will give you that “Holy smithereens” moment. ARE YOU A FAN OF OVERWATER BUNGALOWS ? WHAT DO YOU LOVE ABOUT IT?